Despite ceasefire agreements, armed groups are waging protracted insurgencies across Darfur, a scene of conflict for over a decade. Protection concerns increase as UNAMID withdraws its troops. ? The conflict situations in South Kordofan and Blue Nile increased significantly after South Sudan gained independence in 2011. Clashes have declined in 2018, yet, high levels of insecurity remain.? In October, the Sudanese government approved an UN-led initiative to allow humanitarian assistance to most vulnerable people in the SPLM-N controlled areas in South Kordofan and Blue Nile. However, humanitarian access to all conflict zones remain severely restricted and remains so despite efforts of the AU and UN. ? Since 2018, Sudan faces severe economic challenges caused by an economic restructuring to access foreign exchange and governmental funds. As a result, severe shortages of food, fuel, and medicines are present as well as prices for basic commodities are skyrocketing, deteriorating nationwide food security and nutrition outcomes. Violent protests resumed in December 2018 causing further political instability for President al-Bashir 30 year autocratic regime. ? Violence, food insecurity, malnutrition and lack of access to basic services have caused large-scale internal displacement. Additionally, Sudan hosts more than 1,095,000 refugees, including 852,000 refugees from South Sudan. ?Sudan is a key transit country for migrants from Horn of Africa heading to Europe. ? 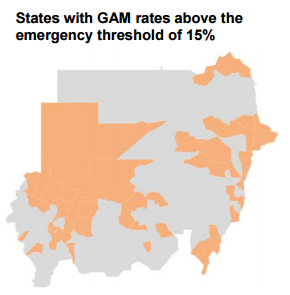 INFORM ranks Sudan’s risk of humanitarian crises and disasters at high (7.1/10). Hazard, vulnerability and a lack of coping capacity are at alarming rates of 7.3/10, 6.9/10, and 7/10. ? Insecurity, mines and explosive remnants as well as poor road conditions, especially during the rainy season, combined with a fuel shortage that began in early 2018, are hindering humanitarian response and further delaying aid delivery. ? Remaining complicated administrative procedures for humanitarian organisations present significant obstacles to the timely provision of assistance. ? 23/4: In support of the Khartoum sit-in, hundreds of people protested in Kutum, North Darfur on 21 April. Local media reports that the National Intelligence and Security Service (NISS) used live ammunition to disperse the protests. At least 12 people were wounded, including two in critical condition.? 18/04: On 13 April, fights between youth groups in Kalma IDP camp, South Darfur, killed 15 people. UNAMID has linked the event to recent political developments and the regime changes. Arson on premises of the National Intelligence and Security Services (NISS) was also reported. Many SLA-AW fighters are among the IDPs.? 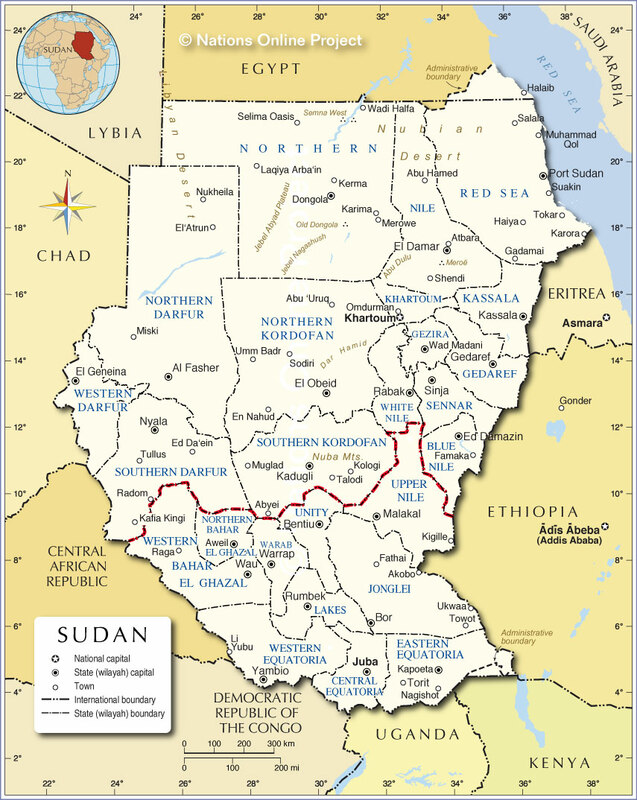 18/04: The political situation in Sudan remains unclear. A new interim head was appointed after the head of a transitional government resigned almost immediately after taking office. Protest sit ins continue, with at least 5,000 people on 15 April. Mass demonstration from doctors, journalists and academics have been taken place in Khartoum on 17 and 18 April. High protection concerns remain. Security forces have used live ammunition to dissolve the protests and at least 16 people have been killed and 20 injured on 11 and 12 April alone. ? 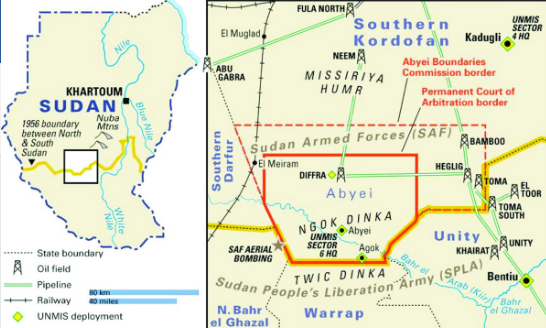 28/03: Outbreaks of several diseases, including many cases of acute watery diarrhoea, have been reported in the Jebel Marra area, which is still under control of the Sudan Liberation Movement led by Abdelwahid El Nur (SLM-AW). Main reasons for the rising caseload are shortages of medicines, lack of medical personnel and inaccessibility of medical treatment. Humanitarian access to Jebel Marra is severely restricted by government forces and continuous security concerns. The ongoing economic crisis is exacerbating the situation. ? Food security: From January to March 2019, approximately 5.76 million people are estimated to be severely food insecure. The most affected people are IDPs and host communities in conflict-affected areas. The economic crisis deteriorates the food security situation further as food prices are constantly rising. ? Health: Outbreaks, especially waterborne diseases, are straining limited health services. Severe medicine shortages are reported countrywide. ? Health and hygiene promotion is needed to prevent the spread of diseases in many parts of the country. In total, 5.2 million are in need of healthcare. ? Protection: Approximately, 3.9 million people are in need of protection. Civilians across Darfur, South Kordofan and Blue Nile are at high risk due to continuous high insecurity levels ? Lack of regular gender-sensitive needs assessments in all sectors. Lack of information about the security situation in conflict-affected areas. Access to public services often remains unclear in rural and remote areas.